wifi password hacker using the android phone. Is this possible? Well yes. Today I'm back with the most awaited tutorial i.e how to hack wifi password using the android phone. When I published "hack wifi password in 2 minutes" post. I got a huge response for that and that's why I decided to write this post. There are many people who don't have pcs in their homes. There are many people who don't know how to operate Linux kali operating system. There are many people who don't know how to hack wifi from cmd prompt. But there are 1 billion people with android smartphones and this is the reason I'm writing this post so each and everyone gets the free wifi facility. 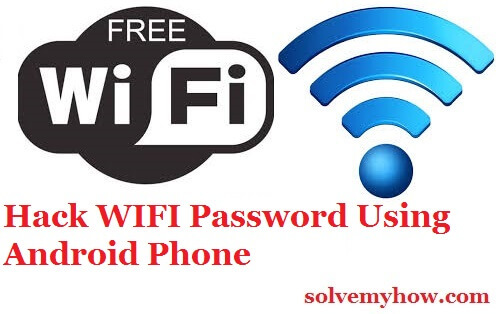 Well, cracking wifi is not an easy task but I have found one amazing trick which is far easier than even any non-technical or school student can hack wifi password. We will see the trick to break/hack the routers. Let's see the step by step process. P.S hacking routers without permission is illegal. Step 1:- Root your android device. Yes, you must need the rooted android device to hack wps pin and I think it's not a difficult task right. These days you can root your android device even with simple apps such as "kingo android root" etc. 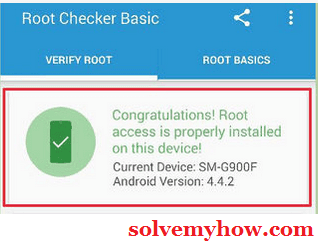 P.S you can check whether your phone is rooted or not with "root checker basic" android app. Step 3:- Download and install the bcmon app from code google page. This tool enables and starts monitoring Broadcom chipset for your mobile phone. bcmon apk is available for free at google code website. P.S allow installation for unknown sources from the security menu of your phone while installing the app. Step 4:- Run bcmon app. After successful installation, run the app. "Install firmware and tools", if this is promoted simply click on install and after that enable monitor mode option. Step 6:- Download and install Reaver app. Reaver is developed to crack was pin in order to get the wpa2 password. You can download this app from xda-developers site. Click on the reaver app icon and run it. Now click "confirm" button when this message prompts:- "you are not using it for illegal purposes". Now reaver will scan all your nearby available access points. Now click on the access points form the list you wanted to crack to continue. 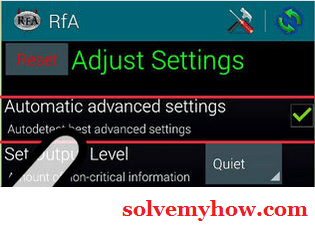 Note:- The access point you select must accept was authentication. Step 8:- Verify your settings. Make sure you have checked "Automatic advanced settings". In most cases, default settings will work. Step 9:- Click on "start attack" button. Now, lets start the cracking process. Simply click on start attack button from the bottom of the reaver app. Now the monitor will open and you will see the ongoing hacking processes. That's it. So this was all about how to hack wifi password using the android phone. Hope you found this tutorial helpful. Do let me know if you are facing any difficulties while hacking, in the comments below. I haven't locked this post as I don't want you to share this post forcefully but I would be very grateful to you if you share this post with your social media friends. You can also subscribe for solvemyhow newsletter to get amazing wifi hacking tips right into your inbox. Found this post interesting? Then why not help by shooting those social media buttons below, after all "sharing is caring"right! bcmon app is made by Google and there is not any bug in that. Though can you please mail me the snaps and describe the problem/error. Thank you for all the passion you have to do the things you do. I have played a bit with reaver etc and I was wandering if you could assist me with the password for your tools. It seems to be quite magical for me to read that a password could be hacked so quickly while it takes hours/ days with some other methods. Hope to get the password for the archives. Well I've mentioned the step by step guide about using reaver app. Though if you have any doubt or if you are facing any problem while dealing with the same, you can ping me in the comments. Please mention your proper query or problem so I can help you. Thanks for stopping by and commenting. I guess no. You have to use android mobile phone only, emulator might won't work properly. Hi, ive reached step five. But everytime i try to click on 'Install firmware and tools' my phone hangs or the app closes down. What am i supposed to do now...please help? Thanks for stopping by. Friend the app is working very fine in my device. I tested it again from my roommates phone and its working fine in it too. There must be some problem which your phone. You must use another device and check whether its working in it or not. Do let me if you're still facing any problem. Thanks for stopping by and commenting. I tested the same app on 2 of my android devices one is Samsung edge and another one is yureka. This app is working very fine on both these devices. Which device you're using buddy. Please do let me know the proper details so I can find out the bug. how to solve this error..."This network seems not to have WPS enabled. Therefore attacking it with Reaver wont't work"
Thanks for stopping by and commenting. Sohel unfortunately Reaver won't work with the wifi's having WPS network enabled. Kindly try hacking those networks only whose WPS is disabled. Buddy android root is the jailbreaking system or its a way of getting admin access (from guest access) to your phone. By then you will be able to install amazing apps which requires root, you can install your own custom ROM too, etc. will this trick work on redmi 2 prime ?? Thanks for stopping by. Indeed it will work on redmi 2 prime. I recently tested on the same phone. please help what to do? Thanks for stopping by and commenting. Xagokasx you need bcmon app supported phone atleast to hack wifi password using android phone. Which phone you are currently using, please do let us know. Also you can try this hack with any samsung phones. I had used that and I'm pretty confident about it too. Thanks for stopping by and commenting. Buddy you have commenting on the wrong post. Though we're glad you shared the post with your social media friends. Hereby we're sending you key and password to hack wifi. Please check your email. Thanks for stopping by and commenting. Mahendra xolo q700s has 1.3ghz processor and 1 gb RAM and 4.2 jelly bean android OS. So, it will definitely on xolo q700s. Hope this helps. Thanks for stopping by and commenting. Friend you have commented on the wrong post but still we have sent you key and password of rar. Do check your email. Hi even i needed the activation key of hackbundle,could you please help me with it :( ?? We have recently sent your android and desktop activation key with password. Please do check your email. I hope now you will be able to save few bucks by not paying internet bills. Don't forget to share this post with your social media friends. Kindly keep your antivirus off while running this tool. Sure praven, hereby we have sent your key and password. Kindly check your email. Thanks for stopping by and commenting. Hari may be your phone is not supported for this. Do try using another spare phone. This will definitely work. You made the different post comment on this post but anyways we have sent your key and password. Kindly check your email. Do share this post with your social media friends on facebook, twitter and google plus. Thanks for stopping by. Friend don't worry our team was working on your request and we have sent you key and password. will bcmon work on coolpad note 3 lite...? Thanks for stopping by and commenting. Yes it will work on coolpad note 3 lite. Buddy we have also sent you key and password. Thanks for stopping by and commenting. Mohit we have sent you key and password. Hi Piyush could you please share me the key and password please? Thanks for stopping by and commenting. Praveen we have sent you key and password. In my Micromax E311 set after installing my bcmon app says firmware model: not detected installed tools version :0 installed fw version:0 please help me what to do? Thanks for stopping by and commenting. Friend this won't work in micromax E311. Can you please try using any other device like Samsung or MI ? So is my device not Compatible???? Thanx for D help in adv!! Thanks for stopping by and commenting. I have personally tested karbonn titanum Octane plus and it worked pretty well for me. I hacked couple of nearby WiFi's easily. I then tested the same thing in my friends phone too and it worked pretty well for him too. So this app is compatible with your device. Kindly close all other apps and check "install apps from unknown sources". Make sure you don't have any antivirus running in your phone. You are doing a great job with your blogs. I downloaded the rar application but it is protected. could you please send me the password so i can continue the process? Hey !! I installed the bcmon apk but it didnt help. I am using a samsung note 2 with dn4v2 custom rom. Help me please. Hey !! Thank you for such a life saver but i am facing problems with the bcmon app where it shows as no firmware detected and the other two things as 0 and 0. So how do i move on. Please asist. Looking forward for your reply. My device is Samsung galaxy j1 and every time I install both apps, it doesn't work. bcmon doesn't support. is any solution for this? any other methods? plz suggest. I've sent you password on your email id. Hey..I got someone's wi_fi password ..it opened..and I used it for 3 hours ,but after 3 hours it asking sign in to account..as like username and password..tell how to sign in it..